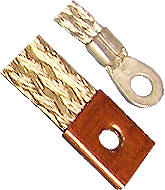 Vicksburg Enterprise Manufacturing (VEM) specializes in the production of standard and custom tinned copper flat braid ground straps that can be manufactured to any required width or length, and with a variety of terminations. 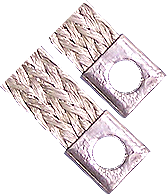 Solder blocked strap configurations for leak tight through applications are also available, as well as complete support for any custom configuration. VEM provides made-to-order custom configurations per your drawing or specifications and logistics management that is tailored to the customer’s administrative requirements. We maintain a skilled and dedicated work force. Our flexibility and willingness to tackle new problems makes us well suited for specialized manufacturing and assembly work. Centrally located facilities provide reduced shipping cost to end users in the United States.